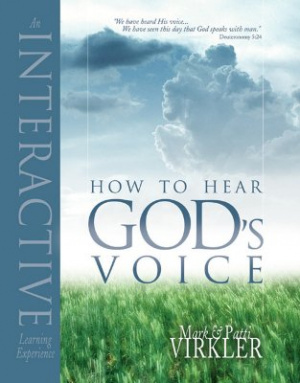 How to Hear God's Voice is a practical book, clearly training Christians how to experience dialogue with God. Teaching the use of vision, intuitive heart flow and journaling, this book will bring you to the place where you can daily record what the Lord is saying to you. How To Hear Gods Voice by Mark Virkler; Patti Virkler was published by Destiny Image in February 2007 and is our 16390th best seller. The ISBN for How To Hear Gods Voice is 9780768423181. Be the first to review How To Hear Gods Voice! Got a question? No problem! Just click here to ask us about How To Hear Gods Voice.